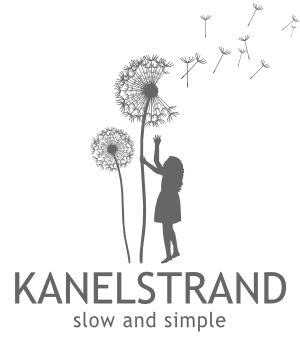 This post is written by contributing author Adrienne Audrey. The way you decorate your home is often an expression of your personality and personal style. It's fun to play around with home accessories and experiment with new home decor trends. Unfortunately home accessories like throw pillows can be very expensive. 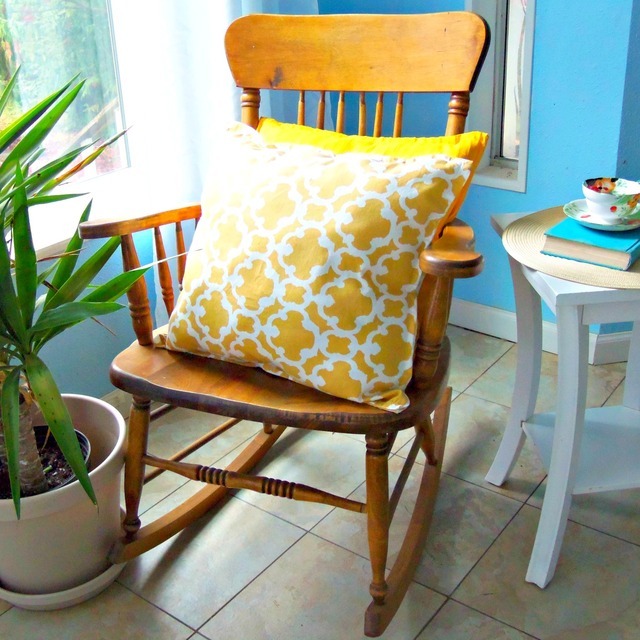 Making some fun pillows yourself is a great way to change up your decor from season to season without breaking the bank. But what if you can't sew or don't own a sewing machine? 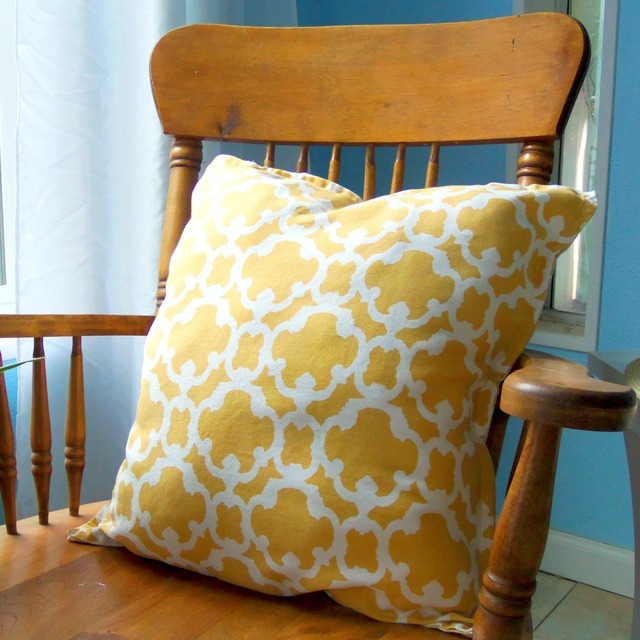 Not to worry, today tutorial will show you how to make cute throw pillows without a sewing machine! All you need are some cloth napkins and a glue gun! Two cloth napkins: The thicker the material the better. 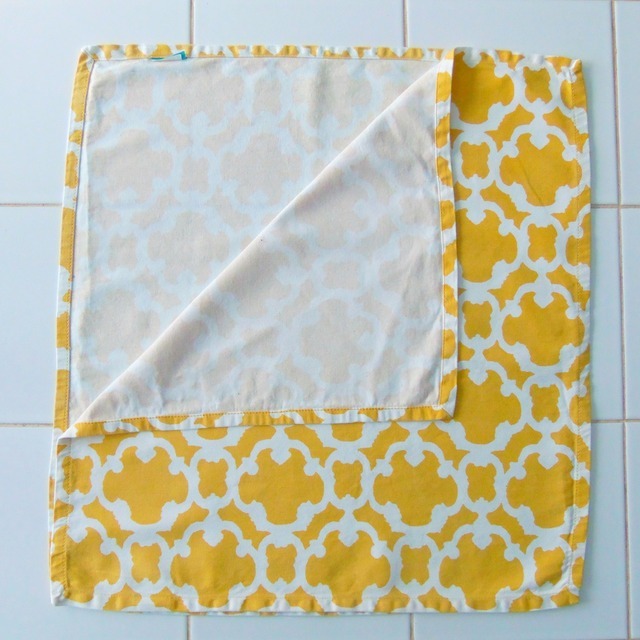 You can buy funky patterned cloth napkins for very cheap any where kitchen supplies are sold. You can also get some at your local thrift store or yard sale for a true eco friendly project. Glue gun: Available at your local craft store or craft section of the discount department store. If you are working with children use a low temperature glue gun for safety. Pillow filling, pillow forms or and old pillow: How you fill your pillow is up to you. 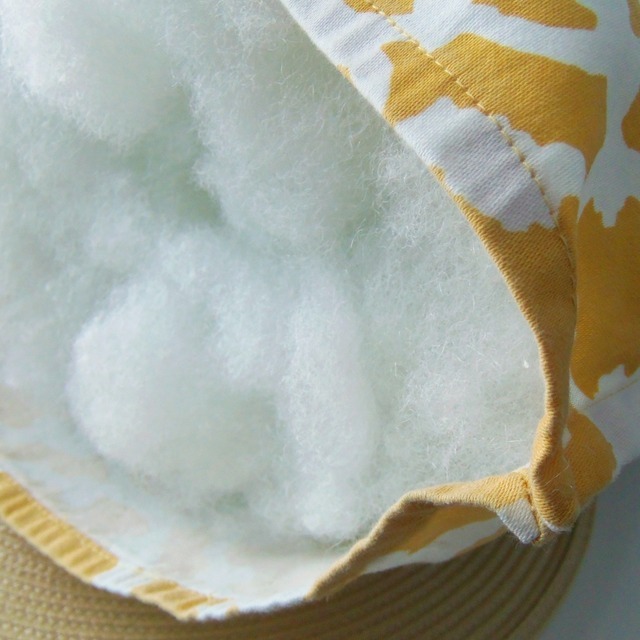 You can buy stuffing for the pillow or insert an old pillow or pre made pillow insert. 1. Lay your two napkins together wrong sides facing in. 4. Insert your pillow stuffing or pillow into the pillow case you have made. 5. Glue the final edge together. 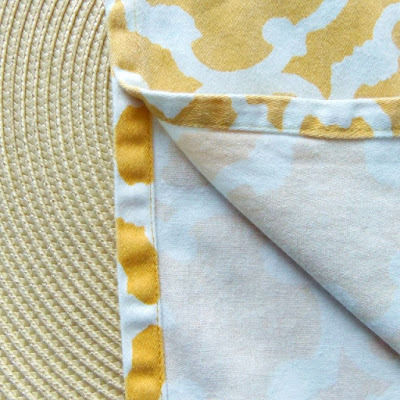 Because the cloth napkins are already hemmed there are no raw edges that can fray. Obviously, you cannot wash these pillow cases so you may want to choose napkins that are stain resistant. Once you tire of your pillows of they get dirty you should be able to pull them apart and then you can reuse the filling for another pillow or toss the napkins into the wash and reuse them for another project! Cute. 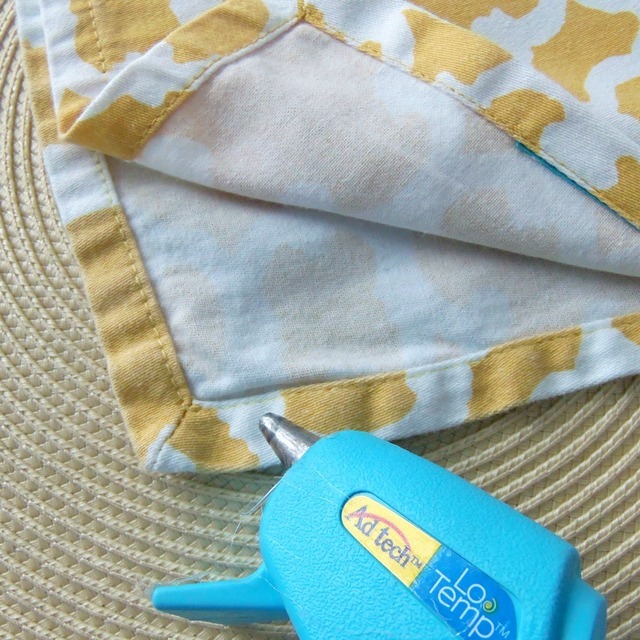 Have you tried something like magic mending tape the iron on stuff? I just found that stuff at the craft store the other day! I will give that a shot the next time I make pillows! wouldn't you rather put the glued seam on the inside than have it sticking out like that? You could wash the pillows if you use Dritz Home Unique Stitch. It's permanent and pillows can can be machine washed and machine dried. A tube is under $5. You can also glue trim on the pillows with it.